I'm happy to present a brief editorial test shoot Shannon Cusello and I did two weeks ago. Armed with looks I'd styled for a Great Gatsby event and Shannon's killer hair and makeup skills, we turned two hours on a Sunday afternoon into a Gatsby dream. 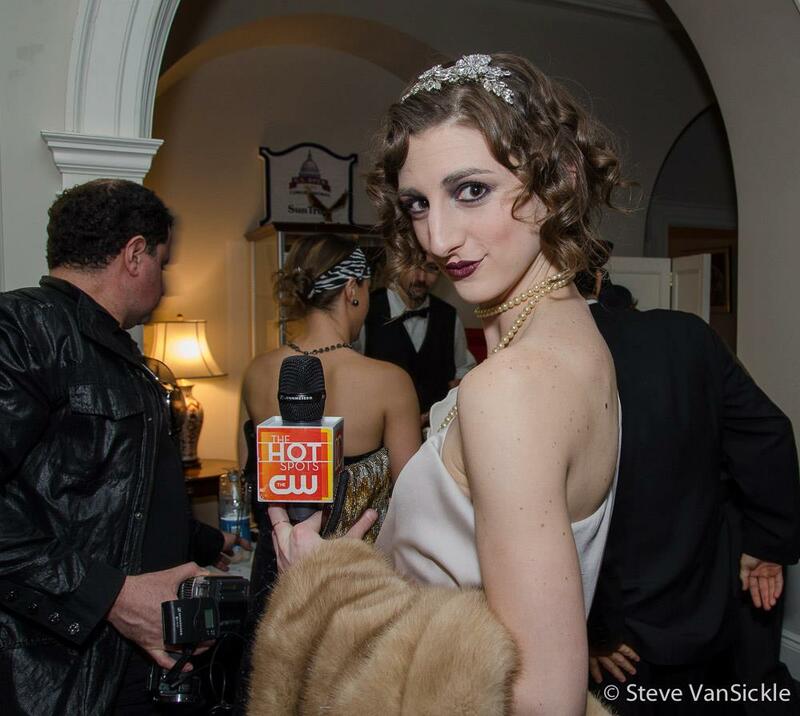 More photos are on the scrolling gallery below, and you can read on for the details about the wild party that inspired the shoot, including my entertainment news anchor debut. Cheers! 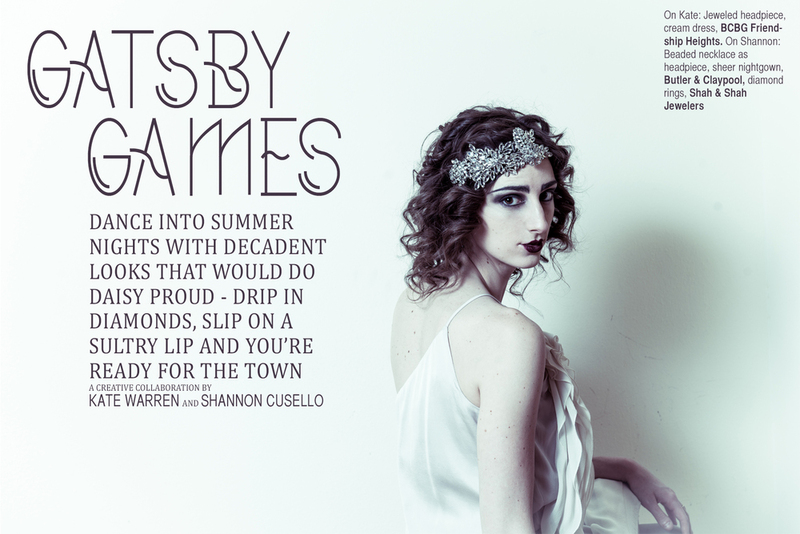 I was recently invited by the charming gentlemen of Greg's List and What Do I Wear to their Great Gatsby penthouse party overlooking the White House. With instructions to channel Jordan from the classic novel and a date who loves to get dressed up, I knew I had to serve some serious 1920's style. To get all glammed up, I pulled a swoon-worthy gown and headpiece from BCBG Friendship Heights and then dove into extensive research about historically accurate hair and makeup - not an easy feat! The dress moved beautifully and the headpiece was such a statement that I knew I had to learn some styling tricks to do them justice! To mimic the pin curls of the 20's, I curled 1/2" sections of my hair around a 1/2" iron before brushing them out into finger waves and arranging them with my headpiece. It paid off - the charming painter Martin Swift (clad in a vintage three-piece suit) and I were thrilled to be named best dressed by the publicist of the Great Gatsby movie, and I was asked to be the CW broadcast hostess for the evening. I've never done anything like that before, and had a blast interviewing a few of the movers and shakers at the event! Of course, I talked too fast and got over-excited, as usual. Luckily, one of the event photographers snapped me with my mic - hilarious! It was a fun way to wrap up a great evening. After all the research, I was happy to be able to take the dress for another spin for my shoot with Shannon. I hope you enjoy! Many thanks to BCBG Friendship Heights, Greg's List, What Do I Wear, and Shannon Cusello (as usual, completely and utterly fabulous).